Select Realty is a great team of professionals, we really enjoyed working with them. I highly recommend listing your home with Select Realty. Your home will be listed in all of the most prominent real estate websites with fantastic photography and complete listings. 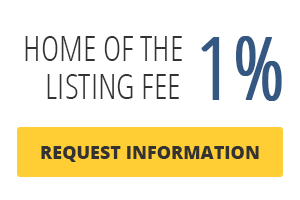 Since 99% of home buyers search for homes online, you'll be directly in front of the people most likely to purchase your home and you'll only have to pay 4% instead of the most common 6%! Great company. Very responsive and professional. Great job listing my home and finding and qualifying tenants. Couldn't be happier. Would easily recommend this company is you're looking for a personal touch. Ask for Steve Carroll, you won't be disappointed. I have bought and sold flip houses through Select and everything on their end is smooth. Can't beat 4%. Great company to work with; very efficient, responsive, and reliable. Katie Roddy was a great agent to work with. Very professional and went above and beyond to make my first-time home buying experience as smooth as possible. Highly recommend to anyone looking for a great, trustworthy agent to help you find your dream home. Katie took us to see so many homes, with an unfailingly positive attitude and the ability to interpret the seemingly contradictory features that appealed to my wife. This meant that with every passing day we were seeing houses that fit us better and better until we found the right one. We'll never use a different realtor again. I have been working with Steve for a few years now. He is very helpful and great to work with. I bought some investment properties via him and he also manages my properties Highly recommended for investors! Katie Roddy helped me find my perfect house!! She was amazing to work with and knew exactly what I wanted in my future home. I will definitely recommend her to anyone looking to buy or sell!! !